Drone Aviation, a manufacturer of tethered drones recognized in the 2018 ‘ASTORS’ Homeland Security Awards Program for Best Persistent Aerial Monitoring Solution, has concluded U.S. Army operator training on the newly delivered Winch Aerostat Small Platform (WASP) Elevated Relay System (ERS) at a U.S. Army base in the Pacific ocean. WASP ERS is the latest generation of tactical aerostats, and features simultaneous multi-mission capabilities for extended range communications up to 40km. This capability utilizes multi-frequency and multi-wave form radios operating in parallel with high performance ISR payloads designed for day/night Intelligence, Surveillance and Reconnaissance (ISR) missions. 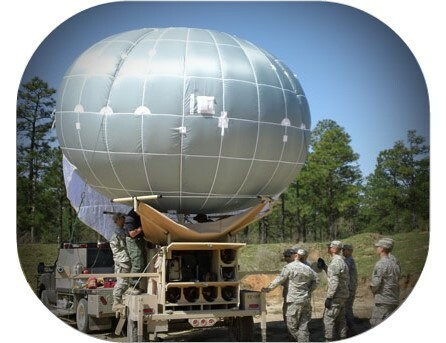 The WASP tactical aerostats were part of a 1.7 Million U.S. Department of Defense (DoD) contract delivered in October 2018, and was the third repeat order for the WASP, as a result of a growing number of successful international deployments with military personnel. “We are proud that our team was able to work closely with our Army customer to complete the soldier training on the WASP ERS’ enhanced multi-mission capability,” said Jay Nussbaum, Chairman and CEO of Drone Aviation. Jay Nussbaum, Chairman and CEO of Drone Aviation Corp. The WASP is a highly tactical and mobile aerostat system which can be operated by as few as two soldiers and can provide day/night video, secure multi-frequency and multi-wave form wireless communication range extension capability at the edge of the battlefield from either a stationary position or while being towed. Over the past four years, U.S. Army-owned WASP systems have successfully completed thousands of hours of soldier training operations, various DoD exercises, and customer operations. WASP is currently being utilized by the DoD as a mobile, tactical aerial solution that can support multi-mission profiles involving ground and aerial-based assets through communication retransmission. Operating at altitudes of up to 1,500 feet AGL, the WASP system can significantly extend ISR capabilities and secure communications in remote and austere locations. The soldier-operated systems can be rapidly configured to support a variety of mission requirements for days, weeks or months with customized payloads. “Today’s military and security forces are increasingly demanding persistent, mobile, small footprint tactical solutions that can do more without high acquisition costs and significant contractor logistical support, requirements that the WASP is uniquely able to meet,” explained a representative of Drone Aviation.